Once again there’s fun for all the family with children’s entertainment, including the bouncy castle, climbing wall and the ever-popular bungee trampoline. SandWizard will be there for the first time and all children can take home their own small sand painting. For the fashionistas, the Vernice Fashions on the Field this year has prizes of gold and diamond jewellery, valued at over $5,000. The winner will also receive a wild-card entry into the State finals to be held at Ascot later in the year. The Miles Wilson Dash for Cash also sees the fastest footballers dashing to WIN $1,000 for their club, and the hobby horse race will also see Mums and Kids chasing down the final straight. After the racing, you can stay for the ever-popular Tod Johnson and the Peace, Love and all that Stuff band, rocking away until 7.30pm. There are several bars, and some serious food stalls, including Temal’s Turkish Food, The Cursed Café, Red Robin Hospitality, Duck Duck Goose home-made Gelato ice cream cart, and Outback Chef French crepes as well as Cappucino Express. 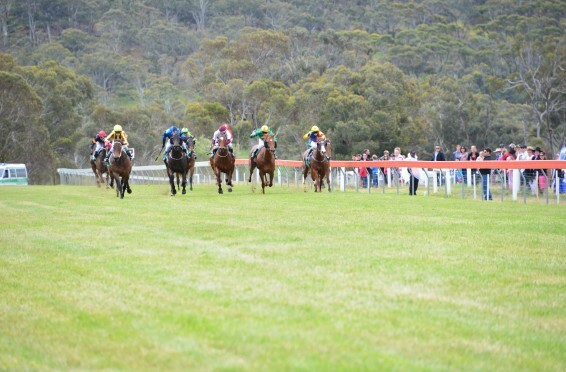 For your chance to WIN 1 of 25 double, general admission passes to the TABtouch Toodyay Picnic Race Day, via the Sunday Times (PerthNow) click here.